In this article I am going to explain how to download Sql Server 2017. If you are planning to buy the license then you can download this version, otherwise you have 180 days trial. This version have all features. This version of sql server is free and also includes all features. But you can’t use this version in production. Personally I want to recommend this version for development and training purposes. This version is also free and can be used in production. But the disadvantages is, it doesn’t include all features and limitation in data storage. It can store data upto 10 GB. 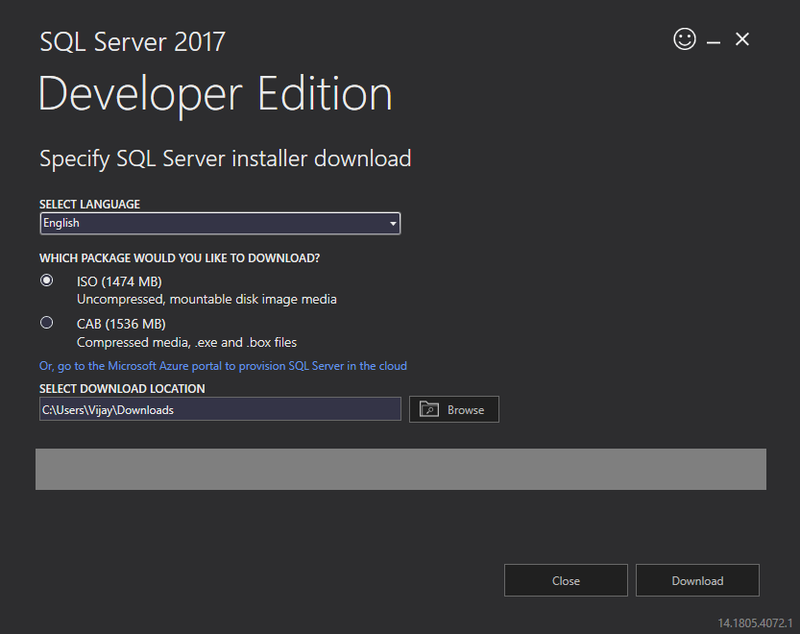 First of all download the Sql server 2017 installer. Go to this link and download the installer. 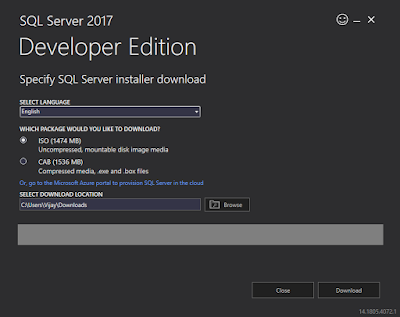 Here I am going to download Sql server 2017 developer edition. 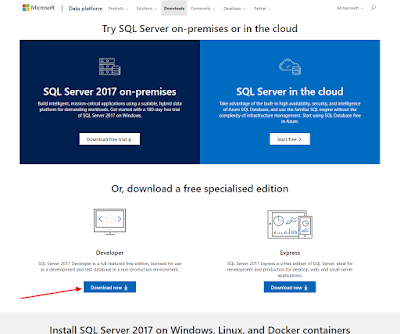 Once download is complete, run the setup file of Sql server installer. You will saw 2 package option to download ISO and CAB. Choose your option and define the download path. Now click on download button to start the download.